Our backyard garden is small — we’ve got two tomato plants, two pepper plants, some raging rosemary and a few herbs in a clay pot — but I still get a kick out of harvesting my crop one sprig of oregano or handful of yellow pear tomatoes at a time. Two pepper plants went in this spring. 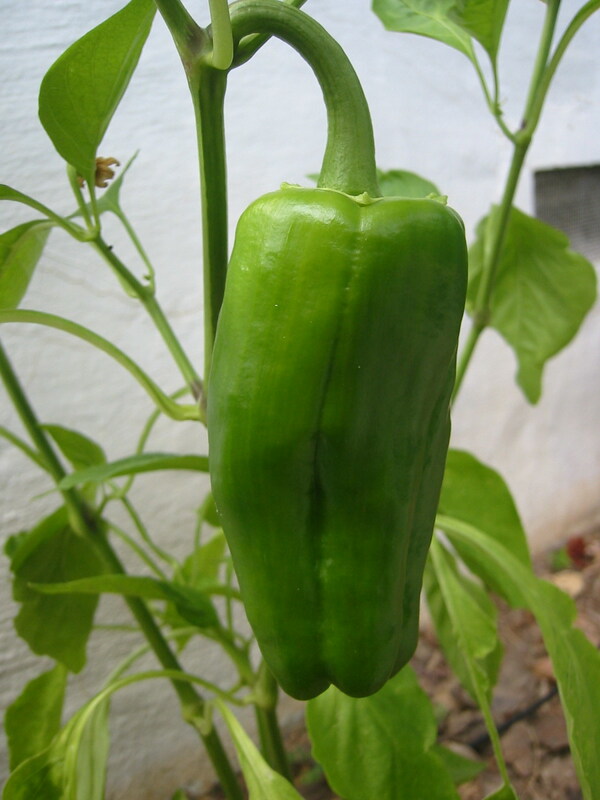 I’ve only got one bell pepper right now, but it’s getting bigger by the day. Last summer I had an overabundance of Roma tomatoes. 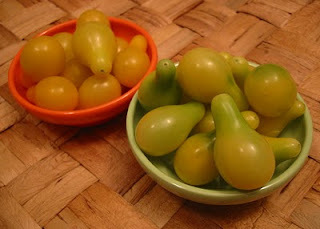 This year, it’s the little yellow pear tomatoes that are coming in strong.